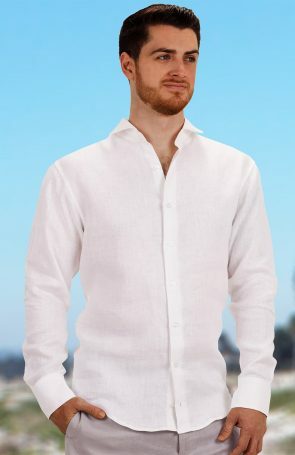 Whether you are looking for the best shirt for your beach wedding or to make a valuable addition to your wardrobe, linen should be your pick. Fabric should be the primary consideration for you before checking other features of any clothing, and the same is true for shirts. 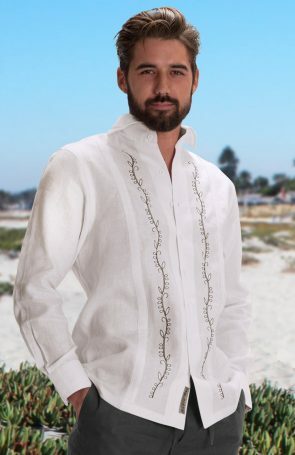 The positives about linen are many including breathability, especially for beach wedding grooms and groomsmen. Here are high-quality men’s linen shirts that are worth the bucks. Elegance and class are the two top qualities of this slim fitted Italian linen shirt. 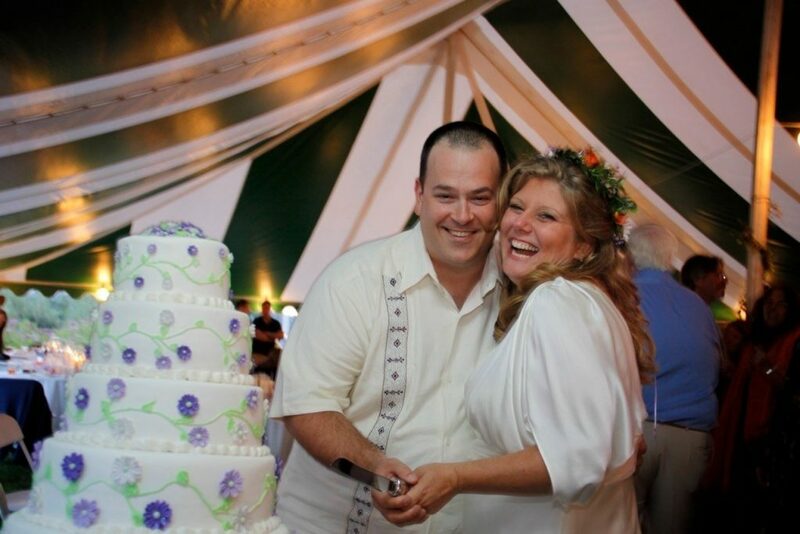 It is ideal for many occasions including picnics at the beach and more so beach weddings. It comes with beautiful embroidery on either side of the buttons in the form of olive branches. You can get this shirt in various sizes and designs to suit your preferences. If style and fashion are your drivers for picking your outfit, then the Belle linen shirt will blow your mind. Talk about quality craftsmanship with subtle adornment, and you will be describing this shirt. It has a rounded bottom hem with crochet knitting at the back of the collar and the sleeves. These make these men’s linen shirts the best choice for beach-based events. Belle would be the best pick for anyone looking to buy their groom or groomsmen the best beach wedding outfit. For those looking for a simple linen shirt with a relaxed fit, then the Bradford linen shirt is your best pick. It comes plain in color white with no adornments at all. The relaxed fit adds to the easy feel of the beach making it one of the best for beach wedding events. With the option to choose either long or short sleeves, you can be sure to get your preferred linen shirt whatever the occasion. The Bradford linen shirts are available in all sizes from small to 5XL. The relaxed Colima linen shirt is another ideal attire among men’s linen shirts. 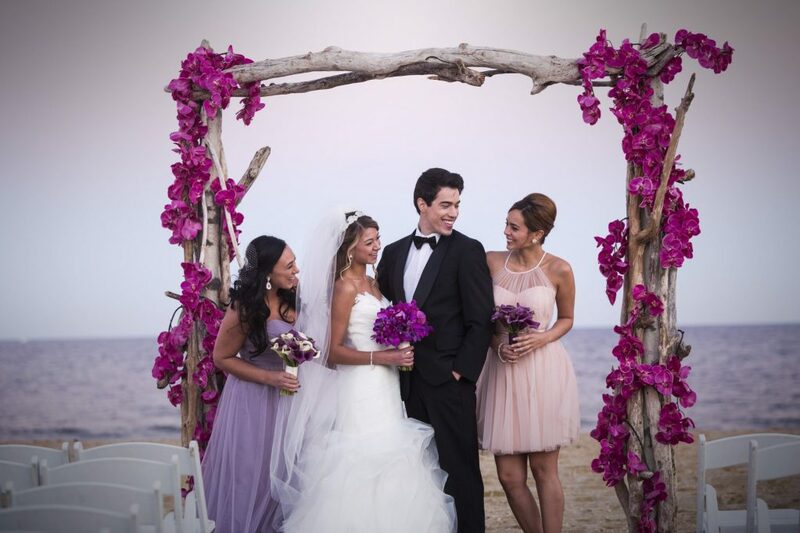 Its breathability and style make it the perfect choice for beach events with the first being beach weddings. The embroidery comes in various colors which can be matched with the bride’s or the bridesmaids’ dresses for the occasion. 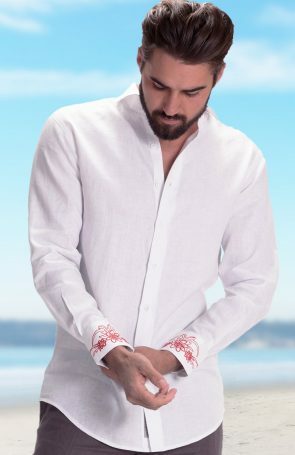 Better yet, Colima linen shirts come with guayabera styling that add fun to the attire for the beach. 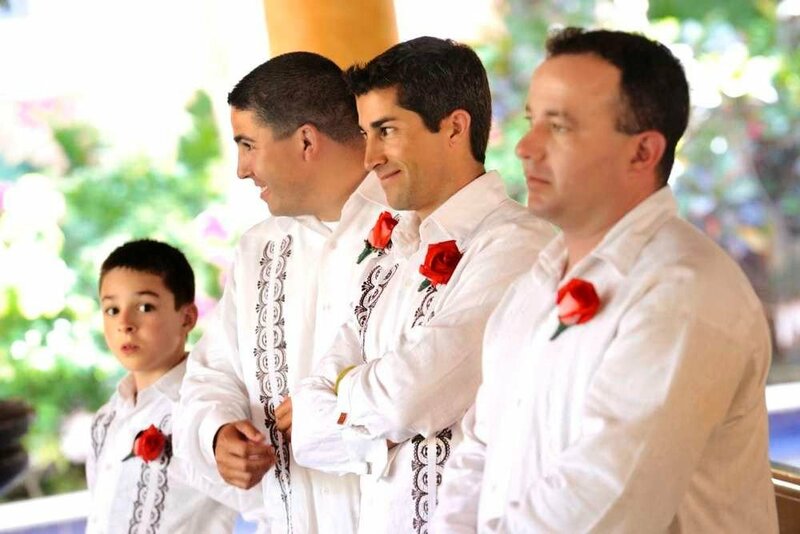 You want to pick this shirt for your groomsmen, especially when you want to have a colorful beach wedding. Men’s linen shirts are the favorites for many grooms and groomsmen as well as vacation enthusiasts visiting the warm tropics. The good news is that you will not have to worry about getting the best quality anymore. Wedding Tropics has everything you need in the best quality. Check out our stores for a variety of beach wedding attire for men, women, and kids.